The Armasight Orion 5x is a Gen 1 night vision scope, which performs magnificently at mid-ranges in low light conditions. The Armasight Orion 5x is a Gen 1 night vision scope, which performs magnificently at mid-ranges in low light conditions. This riflescope is perfect for demanding hunters, security personnel, and sports shooters, who are looking for top notch target acquisition, observational, and aiming features in their scope. Armasight has carefully engineered the Orion 5x so that it takes the top spot in the Gen 1 category, when it comes to dependability and performance. All the features in this scope have been designed to improve ergonomics and accuracy in dark environments, and any whether this riflescope is what you have been searching for. So sit back and enjoy an informative Orion 5x rifle scope review. The Armasight Orion 5x is a night vision riflescope with amazing accuracy. This scope will allow you to shoot with unparalleled precision on the darkest of nights, using the affordable but efficient night vision technology. Apart from the highly accurate night vision technology, the Orion 5x also has turrets for windage and elevation adjustments, which allows for incremental MOA adjustments. As I mentioned earlier, the Orion 5x is compose of Gen 1 night vision technology which provides spectacular night vision images. This riflescope will therefore guarantee efficient medium to long range performance in low-light conditions. Furthermore, the riflescope has a removable IR-810 infrared illuminator, which works to illuminate a broad field of view or to shine a spotlight on your target for enhanced performance. 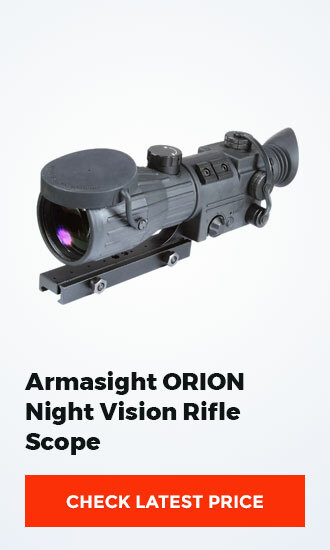 First off, the Orion 5x night vision scope has a respectable magnification, which will perform wonderfully on mid-range tactical and hunting operations. When it comes to lighting, the Orion 5x has variable reticle brightness and an illuminated red-cross reticle. These features amplify ambient lighting in low-light conditions, so that you can clearly see bright and crisp images in the dark. Additionally, the Orion 5x has adjustable brightness levels, which you can set using the dedicated dial found below the accessory rail. The Armasight Orion 5x scope is simple to mount to your weapon, due to the fact that it mounts seamlessly to nearly all Weaver-style rails. This makes it a great buy if you have multiple weapons. 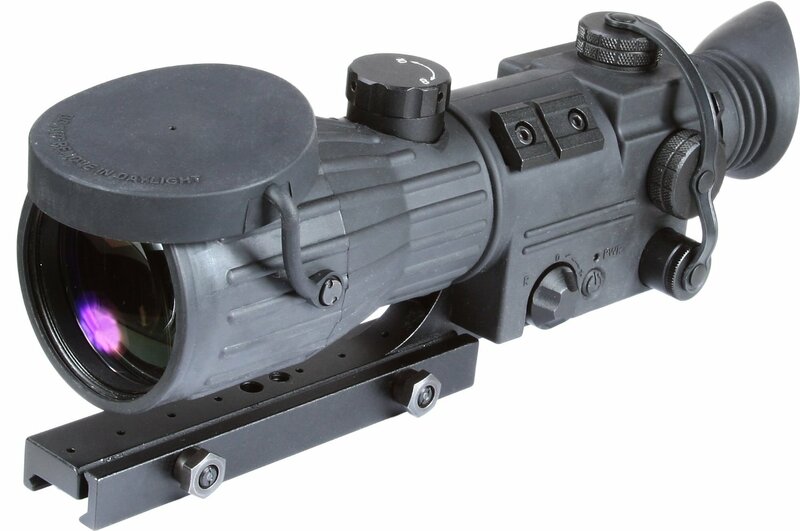 Last but not least, the Armasight Orion 5x boasts of top notch construction. To begin with, we have a rugged and weather-sealed rubberized aluminum body, which will withstand recoil coming from light caliber rifles. Secondly, this body houses image intensifier tubes and shock-protected optics, which will not break with impact. The textured controls and adjustment dials maximize grip as you make adjustments- even in wet conditions and while you are wearing gloves. 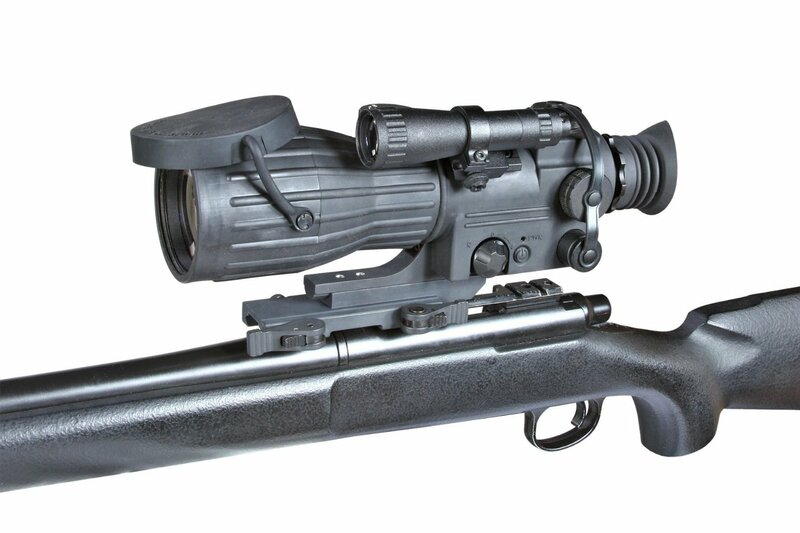 Q: Can the Armasight Orion 5x scope be mounted to a helmet? A: No, the Armasight Orion is meant to be mounted to rifles, and crossbows only (weapon mounting). It is too heavy to be mounted on your helmet, and it has magnification that would make it a challenge to see out of as you walk. Q: What are the dimensions of the Orion 5x, and how much does it weigh? A: The Armasight Orion 5x measures 323 mm by 118 mm by 104 mm (12.7 inches by 4.6 inches by 4.1 inches), and weighs in at 1.7 kg (3.7 lbs). Q: What is the operating temperature of the Orion 5x scope? A: The Orion 5x scope can perform well in temperatures ranging from -40 degrees Fahrenheit to 122 degrees Fahrenheit. 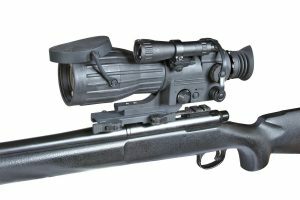 Do you get enough information of Armasight ORION 5X Gen 1+ Night Vision Rifle Scope Review on this post? When it comes to night vision scopes,The Armasight Orion 5x definitely excels. This scope is the perfect solution to the shooting needs of hunters and tactical shooters, as it improves accuracy in low-light environments for better performance. So if you are looking for an affordable and efficient Gen 1 scope for all your night vision needs, then this Armasight innovation is guaranteed to make your day.